New ISP in Mauritius soon? Or so L’Express Newspaper claims. The offer seems interesting. They, yes “they” since the article doesn’t mention what ISP it will be, but I suspect it will be Outremer Telecom, since it’s already in Mauritius. There is no confirmation yet, so it’s just my supposition. The project is going to be a Multiplay offer: Internet, TV and Phone in one single package – Something that is very popular abroad, specially in France. The price is what is most interesting: Rs. 1000 for the package. Rs. 1000 or lower, if I understand the article correctly. The TV offer seems interesting too, as this mysterious ISP intends to offer over 160 channels, something which has never been seen in Mauritius before. This lone ISP alone, can single-handedly take over the market of VoIP (I guess that’s what the telephony is about), the satellite TV’s market and squat in Orange’s well-secured Internet market. It’s a direct rival of the very popular MyT offers of Orange/Mauritius Telecom. Still quoting the article, “‘Nous allons arroser tout le pays d’un seul coup’, promet ce dernier.” To be able to get to the whole island at once, I believe they will have to use some form of Wireless technology, maybe WiMax? If they do this, it’ll most certainly not please Emtel and Nomad, specially the latter that has seen its customers migrating to Orange after the speed boost. I doubt they will spend a lot trying to put cables everywhere. Keeping the best part for last: ” L’Internet à trés haut débit (on parle ici en termes de mégaoctets) et la téléphonie seront offerts de maniére illimité.” Did I just read, “uncapped, high-speed megabit broadband”? Seriously?? If this is true, you are so going down, Orange! I like your 2x speed boost without charging us customers more, but if ever I’m getting 10Mbps at Rs. 1000, I’m not going to be a faithful customer anymore! So what does the coming of this new operator mean for Mauritius? Simply, that existing operators will be having a tough time if all that was mentioned in the article finally reveals to be true and gets implemented. Orange will lose Internet customers. Nomad and Emtel will surely suffer it’s a wireless, on-the-go offer. MyT will have a direct competitor. Well, overall, it’ll be a big wave on our quiet island. Will it come to realization? Will everything be implemented? 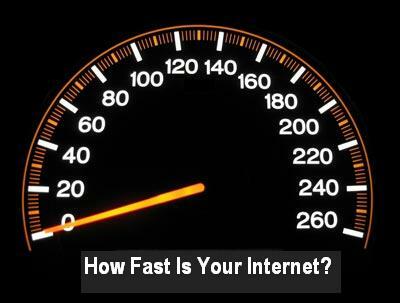 “Unlimited megabit broadband” by the end of the year? 160 TV channels? For now, I don’t know. It seems a bit short. There is less than 6 months before the end of the year now. Implementing a whole new system in like, 5 months? Isn’t it too short? I’m not trying to be negative here, but if it does happen, it’d be one heck of a New Year’s present! “Au niveau du ministére, l’on se dit ‘impressionné’ par le projet, mais plusieurs questions se posent. Une fois le dossier déposé, les choses devraient être plus claires. A l’ICTA, l’on se demande ainsi combien de fréquences seront nécessaires pour le projet. Maurice ayant un nombre limité de fréquences à sa disposition, un projet qui en exige beaucoup sera difficilement réalisable. Au niveau technologique, il faudra également voir si ce projet est compatible avec les autres déjà existants et qu’il ne créera pas d’interférences. Frequencies huh? What kind of frequencies? Wireless? Let’s hope that ICTA and “The Ministry” decide to get things rolling soon. Either that, or they stop calling Mauritius a “Cyber Island” once and for all. There is a one-time chance to rapidly boost our I.T. sector, and they freeze the project? Mauritian Internet: Are We Obsolete? Remember the promises of Nomad, Emtel or even our hopes when we heard that Orange and event the big multinational MTNL is coming to Mauritius. Nomad, Emtel, DCL and others then realised that the big motorway for internet traffic is monopolized by Mauritius Telecom. Outcome? Nomad and DCL, do they still exist? This is only to say that all of us had dreams but unfortunately they turned out to be nightmares (for nomad, dcl users). Lets cross fingers and wish for the best! As Yashvin says, let’s hope it’s not just a set of false promises again. We were all hoping for that one company that will rip Orange/Mauritius Telecom’s monopoly on the Internet market in Mauritius to shreds. For now, we can only wait for the end of the year to see what happens. The new ISP wont come to Mauritius.The rubbish government of Mauritius will refuse the proposal. They did that once with Outremer Telecom. They refused its application in order to allow existing companies to work..We all know which company they government is so eager to protect..even if that ISP is rubbish and made of idiots. Is satellite internet available in Mauritius ? Hmm not that I know of Flower. I’ve not heard about it, nor have I seen any adverts, so I don’t think it’s available. The ISPs I think do use satellite links for their international comms, but I don’t think they give direct satellite links to customers. Theme Ghostwriter — Modified by Inf.